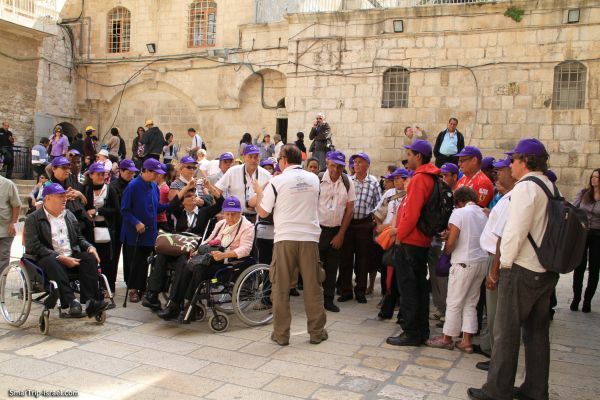 This tour is developed special for wheelchair users and people with limited mobility. 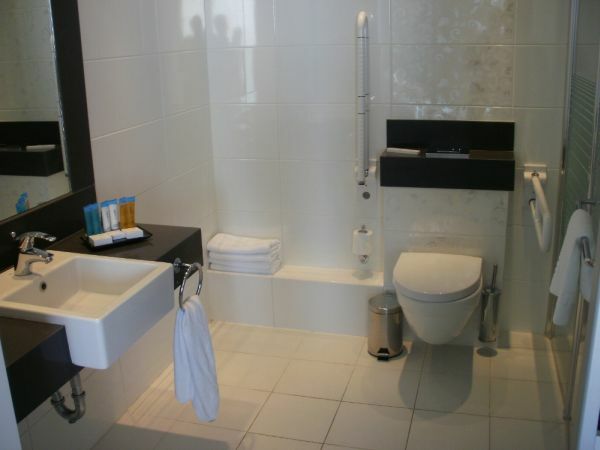 All the routes and places of residence are tested and maximum accessible. Arrival at Ben Gurion Airport. Transfer to the hotel in Tel Aviv. Accommodation. Rest. Overnight at the Renaissance Hotel (or similar) in Tel Aviv. 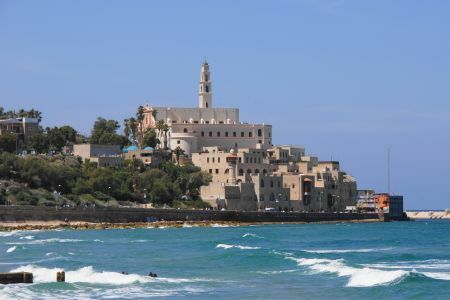 Sightseeing tour of Tel Aviv – Jaffa. 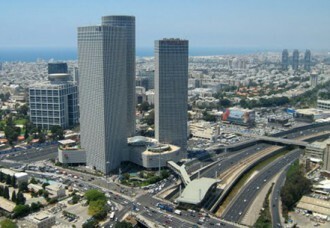 Rabin Square – a large public city square in the center of Tel Aviv. Sarona – a newly renovated complex in the heart of Tel Aviv, originally a German Templar Colony. Neve Tzedek – the first Jewish quarter outside the city walls. The Old City of Jaffa: Clock Tower, Andromeda’s Rock, Gate of Faith, Slope Park, Jaffa Port. Free day in Tel Aviv. 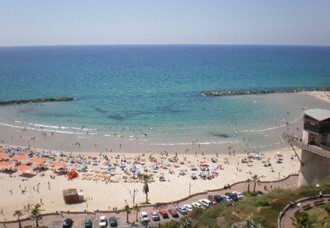 One of the main attractions of Tel Aviv is the miles of beautiful beaches. 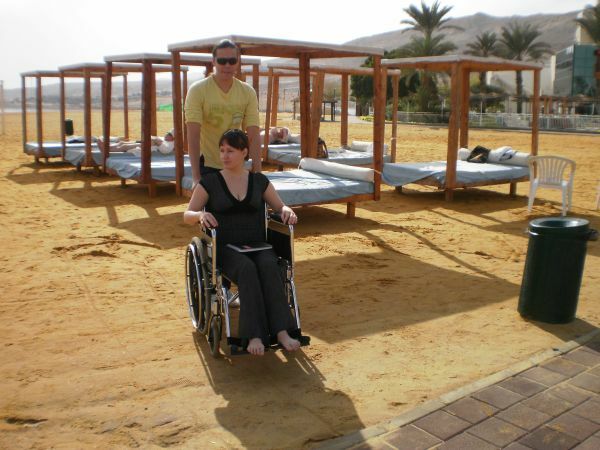 So you will have an opportunity to visit accessible beach to swim, sunbathe or just relax. 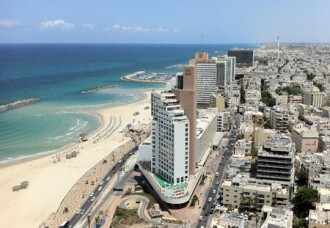 Tel Aviv also boasts a long promenade, running alongside the seashore where you can walk or ride a wheelchair filling your lungs with fresh air all while being surrounded by a glorious views. Day trip to the Northern Coast of Israel. Caesarea – a national park and ancient port, a tour of the hippodrome and Roman amphitheater. Haifa – panoramic view from Mount Carmel on the Bahai Gardens (one of the most frequently and beautiful toured attractions in Israel) the city of Haifa and the port. 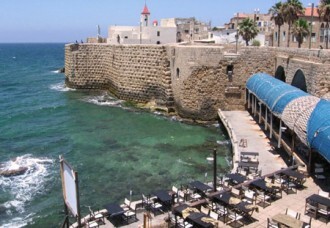 Acre – ancient fortress-port. Knights Halls. Templar tunnels. Overnight at the Leonardo Hotel (or similar) in Tiberias. Capernaum – an ancient and fascinating village located on the northern shore of the Sea of Galilee. The Tomb of Maimonides – one of the most important Jewish pilgrimage sites in Israel. Considered among the greatest sages of the Jewish people whose analytical abilities are admired to this day, Maimonides, known as the Rambam, was also a physician to the Muslim ruler Saladin. Mount Gilboa – a mountain range overlooking the Jezreel Valley in northern Israel. Beit She’an National Park. Established in the 5th century B.C. on a hilltop south of Nahal Harod, this park is one of the world’s largest archaeological sites containing an entire Roman-Byzantine city. 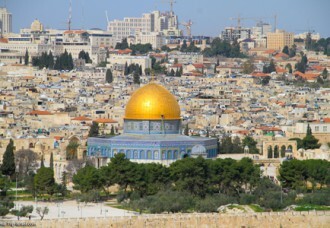 Sightseeing tour in the Old City of Jerusalem. 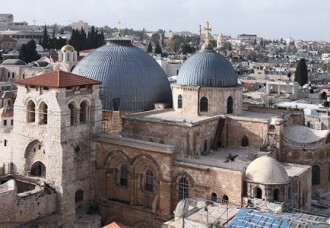 Jewish Quarter: Hurva synagogue, Batei Mahseh square, Cardo – ancient Jerusalem’s market street. Overnight at the Arthur Hotel (or similar) in Jerusalem. 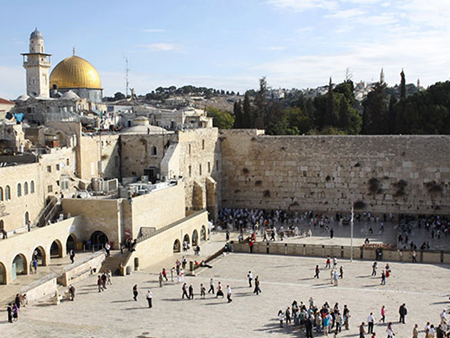 There will be an opportunity to visit Ben Yehuda Street (a major street in downtown Jerusalem and a pedestrian mall) and Mahane Yehuda Market to buy souvenirs and just feel the atmosphere of the city. Overview of the New City of Jerusalem: The Knesset, Supreme Court, Mount Herzl, Hadassah Hospital. Israel Museum – Israel’s most important museum, home to the Dead Sea Scrolls and a repository of exceptionally important archaeological and ancient history information and exhibits. Yad Vashem – the Holocaust Museum and memorial center. Armon Hanatziv – panoramic view of the Old City. Qumran – an archaeological site where the Dead Sea Scrolls were found. 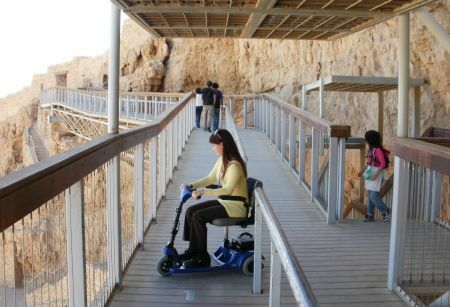 Ancient fortress Masada – Israel’s most historically significant and fascinating archaeological attraction. Ascent by cable car to the fortress. Spa in the hotel at the Dead Sea. Lunch. 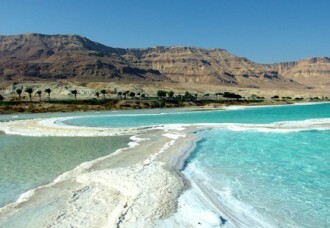 Recreation and swimming in the Dead Sea. Transfer to Ben Gurion Airport. Cost in the calculation of a group of 8 people is $2950 per person. Renaissance Hotel 5* or similar in Tel Aviv. Leonardo Hotel 4* or similar in Tiberias. Arthur Hotel 4* or similar in Jerusalem. • Transfers according to the itinerary by wheelchair accessible minibus (with lift). • 9 nights in 4* – 5* accessible hotels on double occupancy. • Meals: breakfasts daily in hotels. • All entrance and activity fees listed in the itinerary. • Health and travel insurance. • Single supplement + 1400 USD. • Mobility scooter rental during the tour (10 days) + 360 USD. 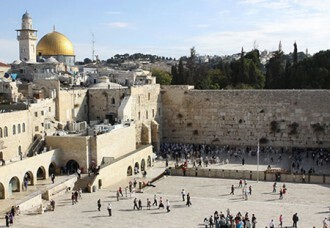 We work without intermediaries, directly to Israeli hotels and transport companies. Because of this we are able to maintain low prices for our complete tours.